If you are planning a patio cover construction project spend a little time on our site and discover the many possibilities to choose from. 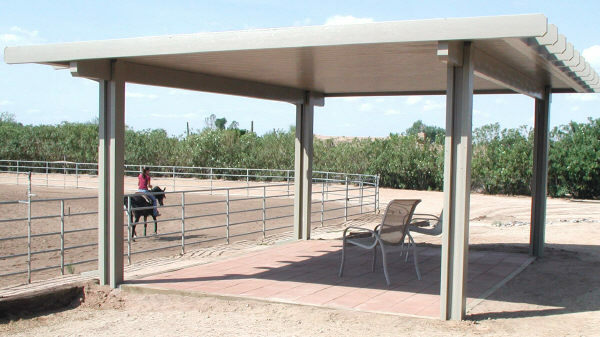 Patio covers can be made from wood, aluminum, vinyl or steel. 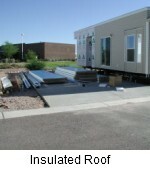 Patio cover construction prices will vary a lot with the type of material chosen. 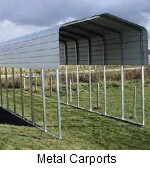 I feel the most cost effective patio cover material is aluminum. Aluminum awnings keep their attractive looks and value many years longer than some more traditional methods. By visiting our Alumawood pages you will see a patio cover construction project from start to finish. This is a lattice type cover but solid panels could have been used also. 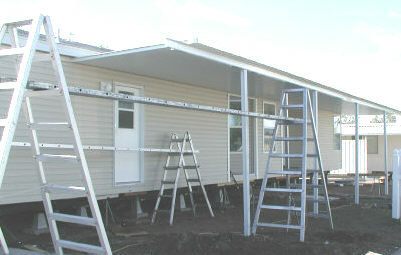 The installation steps would be similar for solid or lattice. 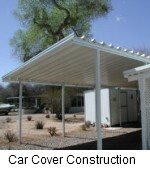 Our page covering carport construction shows more step by step pictures of awning construction. 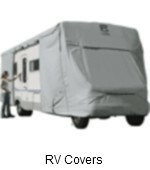 If you are planning on doing the work yourself see our do-it-yourself awnings page or the Patio Cover Kits page. If you are looking for just the right contractor to do this for you I would recommend trying the free services of Home Advisor. They will help you find prescreened contractors in your area that can give you timely estimates and perform quality work. When planning your patio cover construction project keep in mind all of the structures that can be attached to the awning or built under it. 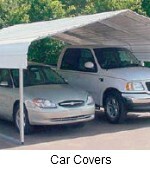 Our awning structures page may help with more useful ideas. 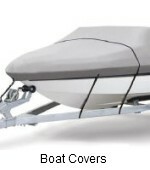 The video below shows how easy a simple lattice patio cover is to set up. This is a very nicely done slide show.